Green Impact is one of NUS’s flagship sustainability engagement and change programmes. It supports organisations, staff and students in making tangible changes to their practices, processes and ways of working towards a more positive future. Over time Green Impact has grown into a powerful network of staff, students and leaders who are creating positive change in their organisations, and in the community. Each year we celebrate innovations and innovators in sustainability through our National Green Impact awards. We showcased these awards at our Student Sustainability Summit at Manchester Metropolitan Students’ Union in October, and will be presenting the awards in person at local Green Impact events over the coming months to ensure they are recognised amongst their peers and organisations for the work they have achieved. See below for our well-deserved winners, and congratulations to all! 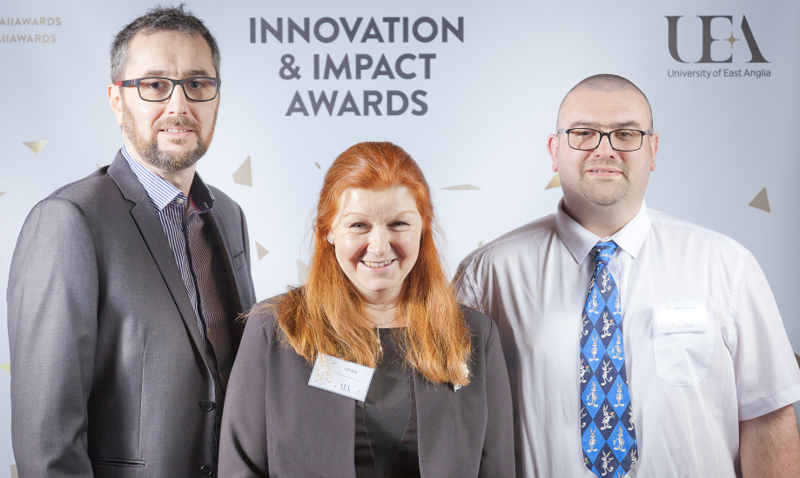 The award aims to recognise Green Impact teams who have developed innovative solutions to getting their sustainability messages across and reaching out to new people. The Big Pawprint event was the brainchild of the leader of Seaborne Library Green Impact Team, after they considered how much effort they put into being more environmentally friendly, but the actions taken didn’t always take into consideration the impact their pets had on the environment. The Big PawPrint aimed to raise awareness of environmental issues through pets, and how to reduce your pet's 'carbon pawprint', engaging staff and students alike. ​The event drew in over 200 people, with therapy dogs, rescue greyhounds and volunteers from various charities. 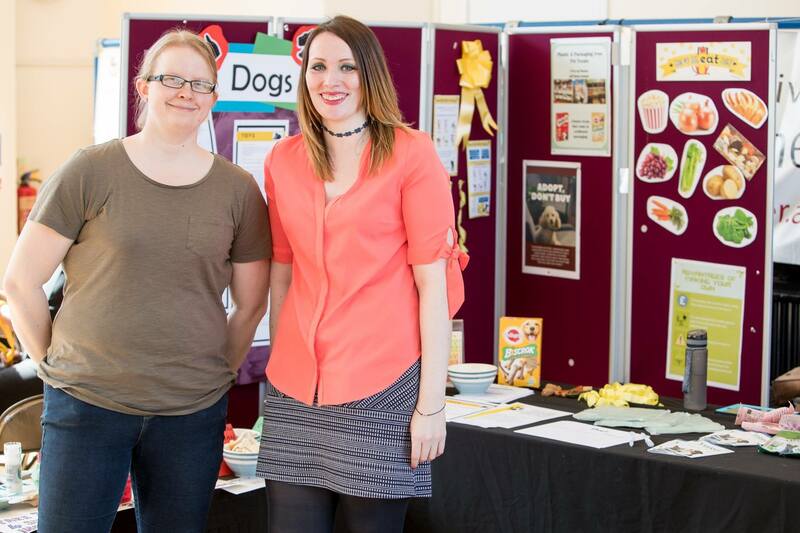 The stalls had information on how to make your pet’s food and toys more sustainable, including healthy recipes for food and treats. This award gives the chance for one person to really shine, and take the limelight for a moment, for the work that they have put in to creating change. Lisa has been described as a true Green Impact champion, engaging colleagues and senior management with sustainability, and being at the forefront of the directorate's sustainability projects. Last year Lisa worked predominantly alone to gain the team a Bronze award – this year she lead a team of 13 to reach Gold! She has ensured that the Directorate’s Senior Management Team are engaged with the initiative and in January, Lisa delivered a motivational speech about Green Impact at the Directorate Away Day. It is clear that Lisa is passionate about her role - she led the development of a website, newsletters and departmental sustainability twitter and has been at the forefront of many green projects within the Directorate, including the reduction of disposable cups, a bike shed project and the reduction of energy consumption. She has also been at the forefront of forging relationships with other Green Impact teams – fundamental in increasing the reach of the team’s efforts. This award recognises the fact that so many teams have built upon the actions posed by Green Impact to create innovative solutions to sustainability. The Science Analytical Facility engaged with suppliers and other departments to prevent normally non-recyclable disposable lab gloves from going to landfill. Nitrile gloves are one of the items that contributes to a large portion of the lab’s non-recyclable waste. As we need to reduce the amount of single use products, they felt there should be a mechanism in place to prevent the 1000’s of gloves going to landfill. They identified a collection and recycling scheme and started to collect gloves in their two largest labs to get a feel for the amount they may generate. There are now plans to eventually role it out across campus. But more than this, while researching this project they found biscuit wrapper and beauty products schemes too and in collaboration with the School of Environmental Science Green Impact Team, have now created a recycling station for these in the department’s social space. This really is a great example of where a group of passionate staff have found an issue, tackled it head on and through collaboration are now making a change the whole institution can take part in. This award recognises the students who have led so much of the change within their green impact organisations. Every year we train and support 100s of students to take roles within their organisations to influence change and communicate the programme, and it is always astounding to see just how much impact they can have by utilising their networks and skills in reaching others. Keerthiga raised awareness with fellow students and made a vlog on the environmental impact of fashion. She single handily ran a survey engaging other students on their recycling habits giving up her own time to ensure she got quality results and engaged her fellow students in becoming trained GI auditors. Her role as a student Green Impact Consultant at Unite student accommodation in Leicester, helped drive sustainability in the city and make their sustainability events a success. Her input nurtured new ideas and helped grow current projects, and Keerthiga has really been the driving force behind the team. This award recognises teams who have done incredible things to reach those outside of their organisations in their campaigns and activities to make a sustainable future a reality. Led by Lisa Clarke, Charnwood Museum has used their influence as a public facing organisation to increase their reach into the community. They have coordinated a travel poll for visitors made from recycled plastic bottles to gauge how they travelled to the museum, transformed their Gallery into a dedicated under-fives activity space, collaborated with a local Forest School to engage children and families to create jewellery using locally sourced elder branches and learning how to cut and carve with tools, and have created a number of games for the gallery all using reusable or reclaimed items along the themes of Green Impact! Congratulations to all our Green Impact National Award winners, and all the Green Impact teams of staff and students across the country! Don't forget to submit Special Award nominations as part of your own local Green Impact programme to be in with a chance of winning one of our National Awards in 2019!